MOUNTAINSIDE, NJ – The Union County Board of Chosen Freeholders is pleased to announce a free peregrine falcon presentation on Saturday, December 1 at 2:00 pm for families with children ages 7 and older at the Trailside Nature and Science Center in Mountainside. Stephanie D’Alessio, Director of Education for Conserve Wildlife Foundation of New Jersey will help those in attendance explore the life of the fascinating birds. She will explain how to access the Union County Falcon cam that provides a live stream in and around the peregrine falcon nest in Elizabeth. The program is free but donations are welcome. The live stream is free to the public on the Union County website, at ucnj.org/falcon. Peregrine falcons are listed as an endangered species in New Jersey, and Union County has been part of ongoing efforts to ensure the survival of these remarkable birds statewide. They are known for their rapid dives, which can approach an astounding 200 miles an hour as they move in on their prey. 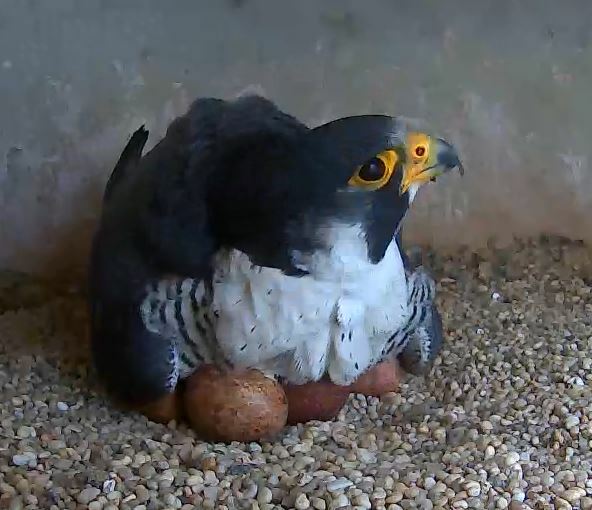 The Falcon Cam is a wonderful opportunity to observe and study one of nature’s most fierce and fascinating creatures. It provides an enriching experience for County residents of all ages, and for online visitors from all over the world. “The live feed helps to build an appreciation for the role that we can all play in preserving our natural heritage, both in our parks and in the urban environment.” says Freeholder Chairman Sergio Granados. Union County’s falcon preservation efforts have been undertaken with the generous assistance of wildlife experts from New Jersey DEP and the nonprofit Conserve Wildlife Foundation of New Jersey. The Conserve Wildlife Foundation is Union County’s official partner for educational programming related to falcons and the Falcon Cam. Stephanie D’Alessio, Director of Education for Conserve Wildlife Foundation, explores the life of these fascinating birds. Visit ucnj.org/trailside to register for the program or call 908-789-3670 for additional information about this activity and other upcoming events at Trailside. Trailside Nature and Science Center is located at 452 New Providence Road in Mountainside and is a facility of the Union County Board of Chosen Freeholders.